Coal Tar. It Stinks, But It's Effective. Coal Tar. It Stinks, But It’s Effective. Coal tar is one of the oldest and most popular active ingredients used to help combat dandruff caused by seborrheic dermatitis and scalp psoriasis. We’re still seeing new coal tar shampoos appear on the market on a regular basis – innovative shampoos too – combined with other active ingredients for a unique approach to dandruff control. It’s actually an ingredient that has been used to treat skin conditions for millennia. Modern formulations are generally less messy and smell better than raw coal tar, but the underlying ingredients have remained unchanged. In this article, we review the evidence-base for the ancient remedy and how it compares to modern pharmaceutical alternatives. A ‘tar’ can be made from burning ‘organic’ (living) materials under high pressure. This forms a dark, sticky residue comprised mainly of hydrocarbons and related compounds. The first medicinal use of ‘pine tar’ was described by the Ancient Greek physician Hippocrates . Coal tar has been applied to skin conditions for over 2,000 years, but the treatment was formally recognized in the 1600s. Since this time, tars obtained from coal, pine, beech, birch, and juniper have been used to treat scabies to sarcoidosis (with varying success) . In the past 100 years, the use of tars has become more selective. A significant development in the 1920s was the highly effective combination of coal tar and ultraviolet therapy for psoriasis . But despite its age and the advent of much more focused modern medicines, coal tar is still an FDA approved treatment for dandruff, seborrheic dermatitis, and psoriasis and remains a tremendously popular and effective treatment. What is in coal tar? Coal tar doesn’t have a definitive composition. Every batch has a slightly different formulation, based on the type of coal, temperature, distillation, and many other factors. This is unlike most other modern medicines and seems contrary to evidence-based medicine; how can a product that can’t be replicated be reliably studied? 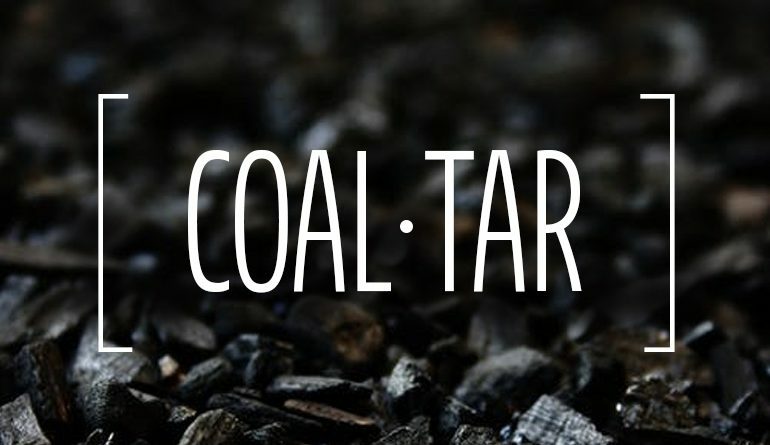 How does coal tar work? Much like the unknown composition of coal tar, we don’t really know how it works, just that it does. The huge number of compounds likely have synergistic effects, not all of which are well-studied . Coal tar formulations have been shown to have effects listed in Table 1. Suppresses DNA Psoriasis is caused by excessive growth (‘hyperproliferation’) of the upper skin layer, forming ‘plaques’. By suppressing DNA activity, excessive growth is reduced helping to treat the condition. Antimicrobial Coal tar has antibacterial, -fungal, and -parasitic activity. This helps to treat any infections that complicate skin conditions. Antipruritic (stops itching) Itching causes many of the problems associated with skin conditions. Preventing this can improve long-term and day-to-day symptoms. Anti-inflammatory Counteracting the body’s inflammatory response can treat many skin conditions and improve symptoms. Photosensitizing UV-radiation improves psoriasis. Coal tar sensitizes the skin to light, making therapy more effective than either used alone. Table 1. List of possible mechanisms for coal tar in skin conditions. How effective is coal tar at treating skin conditions? In modern medicine, coal tar is mostly used to treat plaque or scalp psoriasis, seborrheic dermatitis, and atopic dermatitis. Wider use is limited by the strong smell and greasy application. There are normally suitable and effective ‘nicer-to-use’ alternatives. Much of the evidence for coal tar comes from the study of its effects in scalp psoriasis. It may help to reduce plaques, improving skin penetration for other treatments. Coal tar applied to the scalp overnight may be particularly useful to remove thick plaques . Conversely, a UK NICE review in 2017 found that coal tar shampoos were only marginally more effective than placebo . In modern scalp psoriasis treatment, coal tar shampoos are mostly reserved for maintenance therapy, with corticosteroids or vitamin D formulations first-line for acute flares. Coal tar shampoos are commonly marketed as an effective treatment for dandruff and can be widely purchased. Coal tar is unique in its combination of anti-inflammatory and antimicrobial activity, with the ability to also reduce sebum (scalp oil). 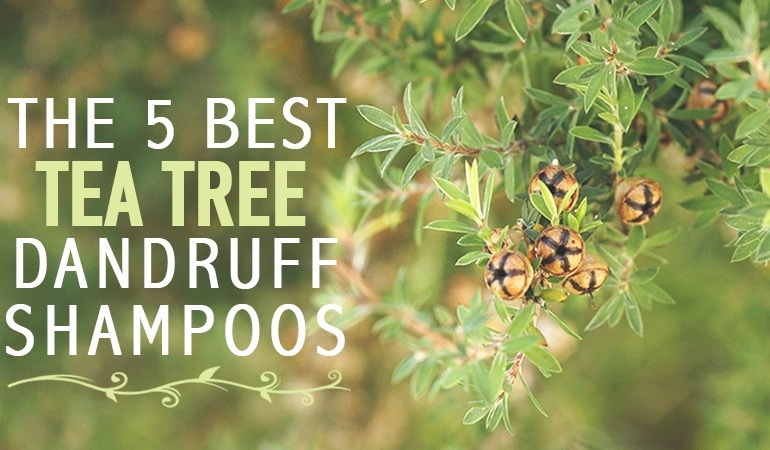 This has made it an important first-line treatment for dandruff. Coal tar effectively treats Malassezia, the yeast thought to be primarily responsible for dandruff . Coal tar 4% shampoos have been shown to be equally as effective as ketoconazole 2% in a study of 274 participants . Coal tar shampoos are also better tolerated, associated with less skin and eye irritation, dry skin, and itching. Very few clinical studies have evaluated the efficacy of coal tar in atopic dermatitis, although in the past 50 years it has been widely recommended. The antipruritic (‘anti-itching’) effects are the main reason for use, but the strong smell and clothes-staining properties make ‘crotamiton’ or ‘urea’ preferable first-line alternatives . What are the risks with using coal tar? Coal tar products are generally well-tolerated if the physical characteristics – smell, greasiness, etc. – are not a limiting factor based on personal preference. Longer-term use of coal tar can cause dry skin, burning sensations or rashes, and photosensitivity. 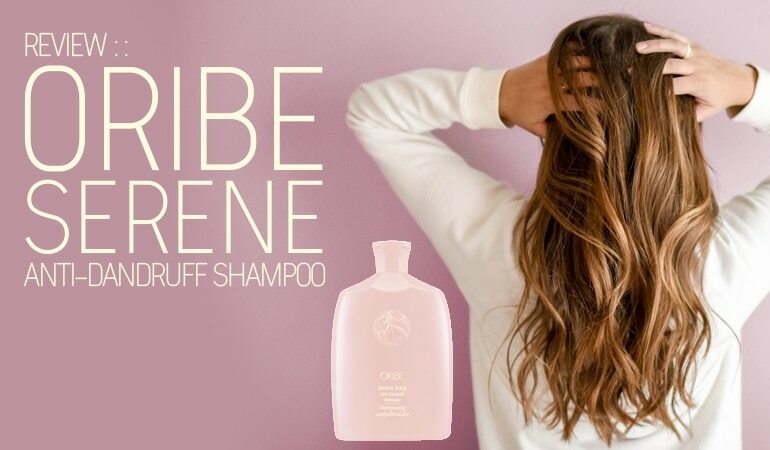 If used as a shampoo, the texture or color of hair may be altered (usually reversible once stopped) . The most significant concern with coal tar products is the possible cancer risk. Many of the 10,000 compounds found in coal tar may be individually carcinogenic – typically when ingested or inhaled over a lifetime. In the 1990s, studies appeared apparently linking coal tar exposure to cancer in animals. A number of countries including the EU, China and Taiwan banned the use of coal tar in cosmetics as a result of these findings. Polytar, one of the most popular coal tar shampoos at that time, was completely withdrawn. Coal tar medications started to disappear from the shelves and some manufacturers even stopped producing coal tar products. The more recent studies prompted the EU to overturn their own ruling. Despite its 75-year history of documented use without any clear evidence of increased cancer risk in low doses, some skepticism remains. Formulations containing more than five percent crude coal tar are listed as carcinogenic by the World Health Organization. California still insist that coal tars treatments are labeled, Warning: This product contains chemicals known to the state of California to cause cancer. Some of the controversies may be related to the questionable safety of using coal tar in the production of sealant products and in other industrial settings; these problems are not relevant to the use of weak coal tar solutions in shampoo formulations. Coal tar concentrations between 0.5 and 5 percent are considered effective and safe. Manufacturers will often have to add 5 times that amount of coal tar solution for it to be as effective as crude coal tar. Psoriatrax, for example, add 25% Coal Tar Solution and label that as equivalent to 5% Coal Tar. It is worth noting that stronger isn’t necessarily better when it comes to coal tar. Quite the opposite in fact. A recent study suggests that a 1% coal tar solution is more effective than a 5% solution when treating mild to moderate psoriasis . Coal tar formulations have been used to treat skin conditions for millennia, with the first documented use in Ancient Greece. Since this time, a range of alternatives have been marketed as less greasy, nicer smelling, and with less risk of staining clothes. Coal tar is still used to treat scalp psoriasis, seborrheic dermatitis, and atopic dermatitis. Its role in the management of these has reduced in recent years due to modern alternatives and a lack of evidence. Coal tar remains a first-line treatment for seborrheic dermatitis, but the risk of hair changes and possible cancer risk generally limit long-term use. Cowden, A., & Van Voorhees, A. S. (2008). Introduction: History of psoriasis and psoriasis therapy. In Treatment of Psoriasis, pp.1-9. Thami, G. P., & Sarkar, R. (2002). Coal tar: past, present and future. Clinical and Experimental Dermatology, 27(2), 99-103. Goeckerman, W. H. (1931). Treatment of psoriasis: Continued observations on the use of crude coal tar and ultraviolet light. Archives of Dermatology and Syphilology, 24(3), 446-450. Habif, T. P. (2015). Clinical Dermatology. Elsevier Health Sciences. Paghdal, K. V., & Schwartz, R. A. (2009). Topical tar: back to the future. Journal of the American Academy of Dermatology, 61(2), 294-302. Nenoff, P., Haustein, U. F., & Fiedler, A. (1995). The antifungal activity of a coal tar gel on Malassezia furfur in vitro. Dermatology, 191(4), 311-314. Davies, D. B., Boorman, G. C., & Shuttleworth, D. (1999). Comparative efficacy of shampoos containing coal tar (4.0% w/w; Tarmed™), coal tar (4.0% w/w) plus ciclopirox olamine (1.0% w/w; Tarmed™ AF) and ketoconazole (2.0% w/w; Nizoral™) for the treatment of dandruff/seborrhoeic dermatitis. Journal of Dermatological Treatment, 10(3), 177-183. Smith, E. B., King, C. A., & Baker, M. D. (1984). Crotamiton lotion in pruritus. International Journal of Dermatology, 23(10), 684-685. Bruner, C. R., Feldman, S. R., Ventrapragada, M., & Fleischer Jr, A. B. (2003). A systematic review of adverse effects associated with topical treatments for psoriasis. Dermatology, 9(1). Maughan, W. Z., Muller, S. A., Perry, H. O., Pittelkow, M. R., & O’Brien, P. C. (1980). Incidence of skin cancers in patients with atopic dermatitis treated with coal tar: a 25-year follow-up study. Journal of the American Academy of Dermatology, 3(6), 612-615. Pittelkow, M. R., Perry, H. O., Muller, S. A., Maughan, W. Z., & O’Brien, P. C. (1981). Skin cancer in patients with psoriasis treated with coal tar: a 25-year follow-up study. Archives of Dermatology, 117(8), 465-468. Jones, S. K., Mackie, R. M., Hole, D. J., & Gillis, C. R. (1985). Further evidence of the safety of tar in the management of psoriasis. British Journal of Dermatology, 113(1), 97-101. Fiala, Z., Borska, L., Pastorkova, A., Kremlacek, J., Cerna, M., Smejkalova, J., & Hamakova, K. (2006). Genotoxic effect of Goeckerman regimen of psoriasis. Archives of Dermatological Research, 298(5), 243-251. Goodfield M1, Kownacki S, Berth-Jones J. (2004) Double-blind, randomized, multicentre, parallel group study comparing a 1% coal tar preparation (Exorex) with a 5% coal tar preparation (Alphosyl) in chronic plaque psoriasis. J Dermatolog Treat. 2004 Jan;15(1):14-22.